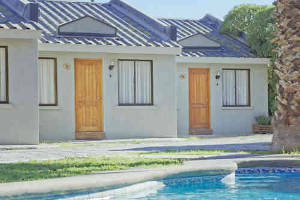 Hoteles Campanario is a local hotel chain in the city of La Serena, about 500 kilometres north of Santiago de Chile. It has 3 properties located in the heart of the coastal area, just steps away from the beach. Each property caters a different style of traveller: couples, families, groups and business people will find a perfect place to enjoy this gorgeous destination. 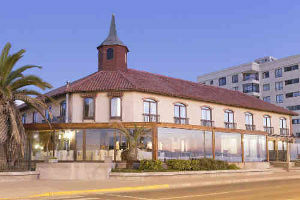 With 25 years of history, Hotel Campanario del Mar has positioned itself as an icon of La Serena thanks to its unique colonial architecture, characterized by its traditional bell tower and a charming inner courtyard crowned by a stunning glass dome. The Cabañas Campanario complex is located in an area close to the Hotel Campanario del Mar, in a privileged location just steps from the beach and the gastronomic and nightlife scene of Avenida del Mar. Welcome to a city famous for its beautiful and extensive sandy beaches that enjoy a mild climate during the whole year. Also for it’s very well preserved historical center where you will have the chance to taste the daily lives of the serenses while you enjoy the charm of it´s neo-colonial architecture in buildings and churches. Come and enjoy the most important astronomical event of the century with Hoteles Campanario. A trip to La Serena is an invitation to chill, relax and discover the best of Chilean nature and geography. A journey to all your senses that will stay in your memory for years and years. We wait for you in La Serena – Chile, so you can enjoy the best of your vacations in Hoteles Campanario.